#1,714 Mae’s 68th. – Laurel Mercantile Co.
Now reading: #1,714 Mae’s 68th. We’ve made it through another tough Mississippi August heat wave, and we woke up to the reward of a crisp, breezy morning on the porch. Breakfast (bananas, biscuits, and sausage) lingered on until 9 am, then we headed out to work for the day. Today was a special one though because it’s the 26th. Aunt Mae’s birthday! 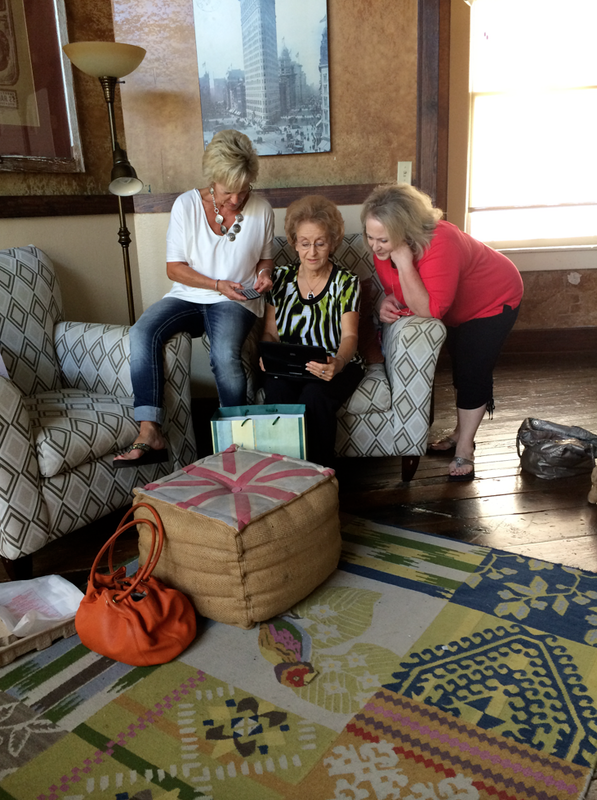 My mama, Aunt Phyllis and Mae met up over at Lucky Luxe at 11 and we surprised her with gifts. 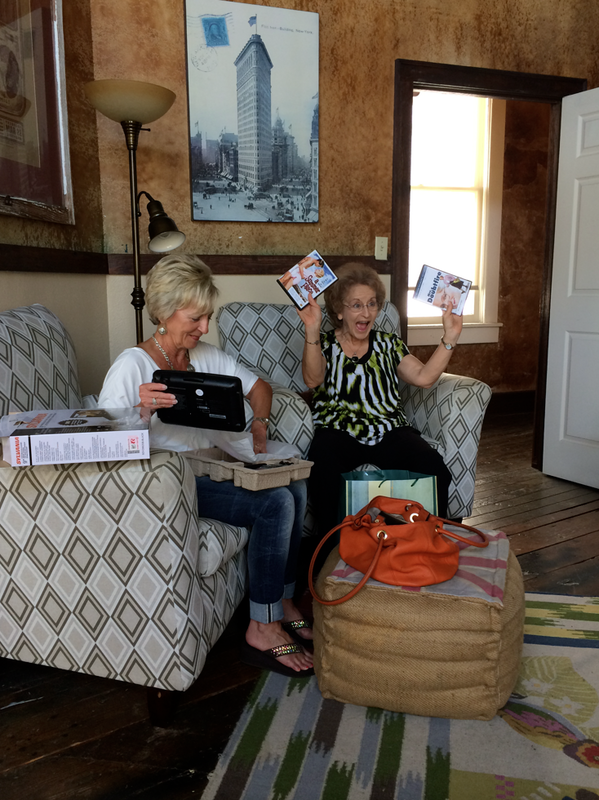 They gave her a portable DVD player (since her TV at home is too old to hook up to one), along with some of her favorite old movies, A Summer Place and Mrs. Doubtfire—whom she has always reminded us of for the world. This used to offend her, but since Robin Williams’ passing, now she’s flattered by it. So. There’s that. 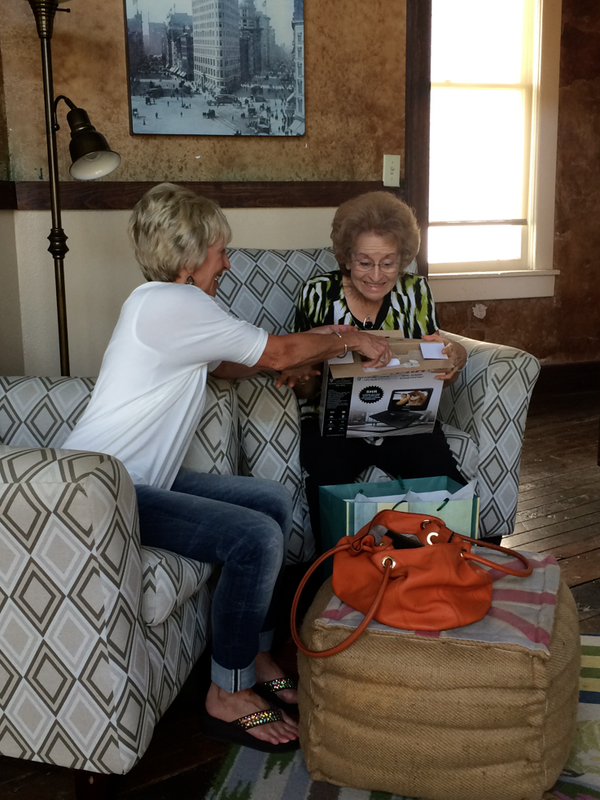 My adorbale little mama led a tutorial on how to use a DVD player. Because this is high tech stuff. 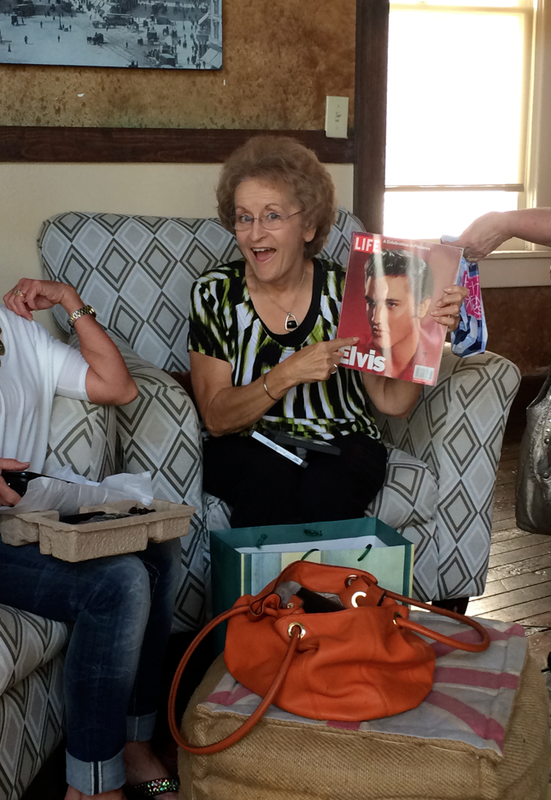 They also gave her an Elvis edition of LIFE magazine—which might as well have been a million dollars. Have I told you lately how much I love Mae Mae? We took her out for lunch at Cafe La Fleur, where we tried our best to make her stray from her usual outrageously healthy diet of just fruits, vegetables and grilled chicken. She almost ordered a cheeseburger, then wimped out and got chicken salad. But then she redeemed herself with a a huge slice of from scratch strawberry cake with whipped cream that was on the house from the cafe for her birthday. And this is why living in a small town will win every single time, if you ask me. #1,715 Light Fills Up the Darkness. #1,713 Skype 2 + Signage!